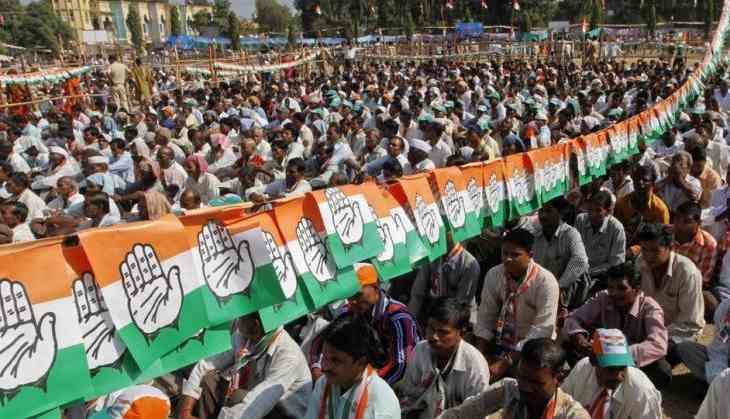 As the Madhya Pradesh Assembly election approaches, the Congress party has declared a list of 155 candidates who will be fighting the polls this year. With 55 new faces and dropping 3 sitting MLA’s, the party has tried to carry out a balancing act in the list released yesterday. It also includes 15 women candidates. Tw relatives of senior Congress leader Digvijay Singh, former Union Minister Suresh Pachauri. The party has repeated 45 sitting MLA’s and has also named former BJP leaders Sanjay Sharma, Padma Shukla and Abhay Mishra in the list. The Madhya Pradesh Assembly Election is scheduled for 28 November and the last date of filing nominations is 9 November. The results will be declared on 11 December, along with other states results. The BJP has already released its first list of 177 candidates earlier and has posed a challenge for the Opposition. The BJP under Shivraj Singh Chouhan has been facing a high anti-incumbency over a period of time. The Farmers agitation in MP has seen a national coverage and a nationwide strike by the netizens after the anti-farmer policy by the Shivraj government and that it has been an issue covering the farmer suicide in Maharashtra, MS Swaminathan’s report and recommendation for a reform and the Minimum Support Price for the farmers were the demand of the hour but none got fulfilled. The farm loan waiver by the successive governments in Maharashtra, Madhya Pradesh, Punjab, Uttar Pradesh has been viewed as a political sop and most of the farmers never got the benefit of such schemes.